Y’all know I love hanging with my girls, so when I found this gem in NYC, I knew I had to share it as a perfect option for a fabulous bachelorette weekend before your big wedding day. The Omni Berkshire Place is in one of my favorite locations, Manhattan, the heart of it all. From all the stores, to amazing restaurants. I can’t think of staying anywhere else when I visit NYC. I’m also a secret history buff, so this hotel really peaked my interest and was a must because of it’s amazing history. 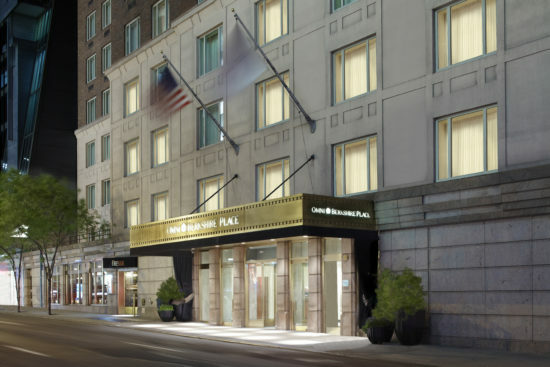 The hotel was founded in 1926 and has really become a staple of NYC for more than 90 years. They even have their famed Rodgers & Hammerstein suite where the duo wrote their first big masterpiece, “Oklahoma!”, in 1942. I also love how they really customize your experience, which is huge when I’m bringing my girls along and want everything to be perfect and I don’t have to worry about a thing. When you are a Select Guest®, Omni Hotels & Resorts brings the little things to life by taking personal service to heart, making every stay memorable, unique and truly authentic. The Select Guest® loyalty program, provides a heightened level of personalized services to guests and delivers immediate benefits and rewards. Select Guest rewards guests on their first stay with complimentary in-room Wi-Fi and the opportunity to earn free nights. 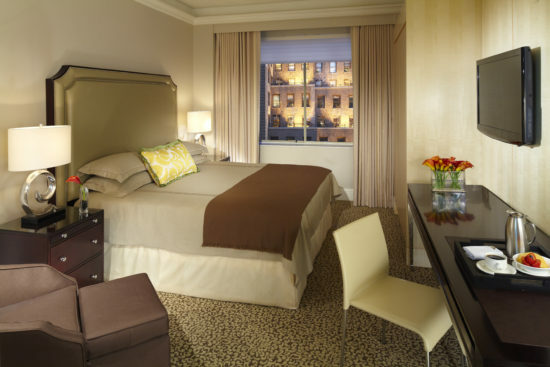 Additional benefits are available with each new stay — pressings, shoe shine, morning beverage delivery and so much more. One of my favorite things is their Bloomingdale’s Shopping package. Yep, a place after my own heart, shopping with your gals is a must especially when we are in NYC. When Omni Berkshire Place guests book the “Bloomingdale’s Shopping Experience” they receive luxurious guest room accommodations, a $50 Bloomingdale’s gift card, a Brown Bag Gift Tote upon arrival, and a 15 percent saving’s voucher to the legendary New York retailer. Not an expert shopper? 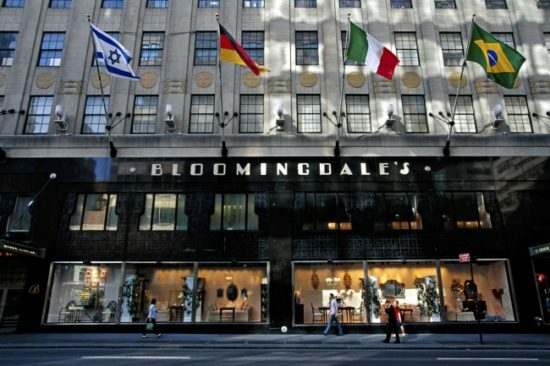 The package has guests covered with a Bloomingdale’s personal shopping appointment, accompanied by famous Magnolia cupcakes to provide enough energy to shop the day away. Appointments must be made in advance and coordinated with Bloomingdale’s. Y’all know I’m sold now! And if you all decide that you don’t want to go out, but prefer to stay in the room, you will be meet with luxury and comfort like no other. Spacious deluxe room offer the choice of two double beds or king-sized bed, dressed in fine linens, plush duvets and feather pillows. Features contemporary decor, including English Sycamore woods and warm earth tones. Rooms include a 37″ flat panel television, interior or exterior views, WiFi access, comfortable reading chair and desk with ample work space. Luxurious Italian marble and granite bathroom with curved shower rod, lighted make-up mirror and hair dryer complete the room. And, if you book the package online, you will be helping to fight hunger so that’s an added bonus, that is sure to give you all the feel goods! Find out more about that here. Have I convinced you….ready to get to planning? Head over to Omni Berkshire Place and get your epic bachelorette weekend started now and don’t forget to report back about all the fun!